It's that time of the year. Time for green everything, Not to mention talk of pots of gold at the end of rainbows. 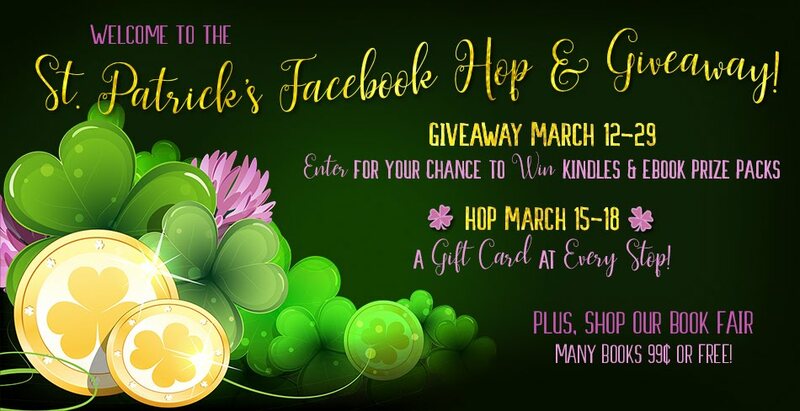 So, what are the authors of St. Patrick's Romance Facebook Hop & Giveaway eager to share with you? Three POTS OF GOLD, that's what! POG #1 ~ March 12-29, enter our St. Patrick's Romance Giveaway for your chance to win a Kindle Paperwhite & leather case, Kindle Fire tablet, or one of several ebook prize packs where you choose the books you want us to buy for you. 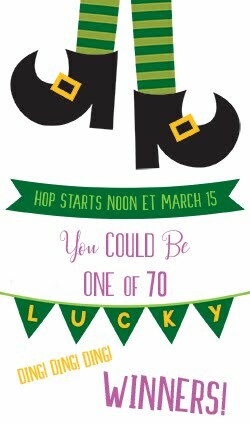 POG #2 ~ May the luck of the Irish be with you March 15-18 for our Mega Gift Card Facebook Hop with 70 authors and a gift card giveaway at every stop! POG #3 ~ We're romance writers and that means books, lots of lovely, irresistible books. Shop our Book Fair where you'll find over 65 titles in a wide range of genres, most on sale! Current updates: All authors have posted to the hop. However, Facebook, in it's infinite wisdom has been removing some posts. We do not know why and FB has thus far provided no explanation. Authors who have lost their posts are reposting them. Please check the individual author's FB pages for details. By way of apology for the inconvenience, we are giving away (10) Amazon $5 gift cards here. Just minutes until the start of the party! Can't wait! Jennifer Saints (https://www.facebook.com/Jennifer-St-Giles-153382491356980/) is the only author that doesn't seem to be participating on the list? We're 70 romance authors writing across all genres, working together to host a fun and fabulous Giveaway and 4-day Facebook hop. While you're here, be sure to check out our Book Fair with over 65 books, many just 99 cents or FREE!